Everything you need to know about the Gutenberg WordPress update! Web development companies are expecting big updates from WordPress, which is responsible for more than 30% of the entire web. There is something brewing in WordPress, something called Gutenberg. It is going to change the WordPress web development forever! 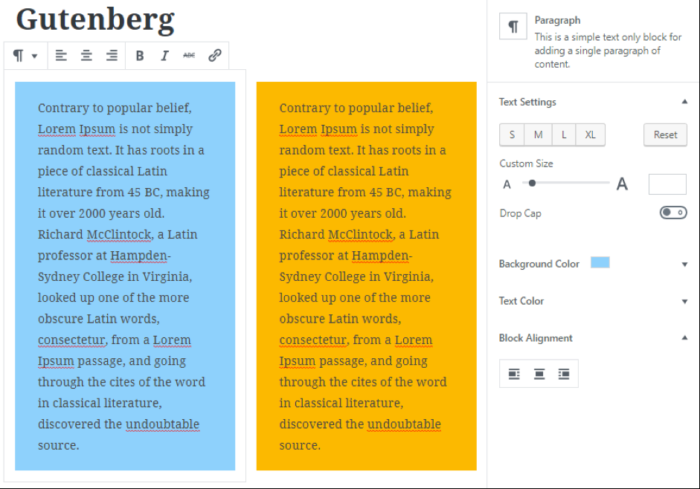 Gutenberg is the new editing environment in WordPress. Web development agencies and plugin companies are getting ready to embrace the big change. 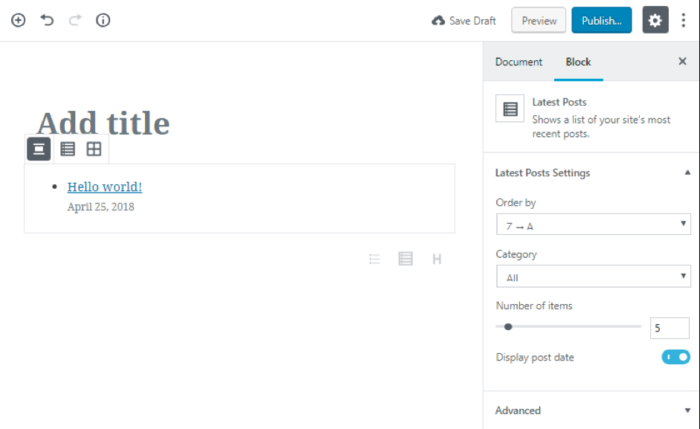 Gutenberg is going to release sometime soon with the WordPress 5.0 update. 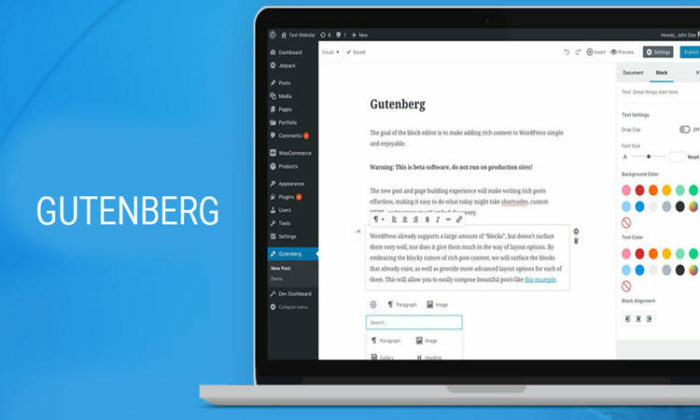 The TinyMCE text editor will soon be replaced with the new Gutenberg editor. The traditional editor that millions of users are familiar with will soon be replaced by an advanced editor. Once the WordPress 5.0 gets released Gutenberg will be the default editor for all the WordPress websites. However, the new Gutenberg editor is still in development, you can test it on your website in its current state. As you know, businesses and marketers want to keep content at the center of focus for better customer experience. Thus, Gutenberg is designed to be a content-first and distraction-free interface. Let’s plunge into the Gutenberg and see how it is going to transform the web and serve superior editing experience. If put simply, Gutenberg lays the groundwork for incredibly exciting WordPress web development. The new editor will give you a clean writing environment with lots of space to shine your content with great typography options. However, the setting will open on the right side and you can open the setting as per document or per block. You just need to click on the cog icon. Text: Text caters List Block, Heading Block, Subhead Block, Table Block, Button Block, Classic Block, and Text Columns Block to help you with content publishing in a compelling style. The new editor gives you full freedom to craft the paragraphs in your desired style, which means you can create two column, three column, and four column content paragraphs to decorate your content as per need. This is simply awesome. As you know responsive column have always been a problem in the WordPress, but, now you can add responsive text column blocks successfully. This will solve a huge problem of content layout breakup and your site will run smoothly irrespective of screen sizes and device types. You can create different list styles (Bulleted or Numbered), indent and outdent list items, create a bold and italic list, add links, strikethrough, and create additional CSS Class effectively. Previously, we used to see the total word count at the bottom of WYSIWYG editor. Now you can see a number of blocks, total word count, and number of headings on a right-side popup. Media: Media consists Image Block, Cover Image Block, Image Gallery Block, Audio Block, Video Block, Embeds Block and Shortcodes Block to help you decorate your post with the media rich content. The image block is the most basic type of block which you can use to insert a single image anywhere on the post/page. This is the same as the classic editor’s block and you can align your image to the right, left or center, provide a caption, alt text, link, etc. You can upload your own video files to your site using the video block. However, we do not recommend hosting your own videos, it is good to use a third-party video-hosting service such as YouTube, Vimeo, etc. You can add captions in video files and links are supported in video captions. Quotes: This will cover Quote Block, Pullquote Block, and Verse Block to help you garnish your content with quote and poetry in a separate and highlighted style. Isn’t it awesome? The design of your quotes and verse will depend upon your theme. You can add typographic styling options (bold, italic & strikethrough) to display your quotes. Add links and citation to your quotes to make it credible. Layout: The layout covers the Columns Block, Text Columns Block, Separator Block, and Read More Block to keep your content layout clean and engaging at the same time. The Column Block lets you add multi-column layout (Up to 6 columns) that includes text only. You can easily separate each column by adding a horizontal rule (<hr>). In short, you can create a multi-column block and include other Gutenberg blocks inside each column. It’s always hard to accept the change, especially when everything is working perfectly fine. Gutenberg is coming, and one thing is sure that it is going to enhance the editing experience like never before. Are you ready to embrace the change? Also, take a note that the Gutenberg is not ready to run on production sites yet. If you want to test it on your website it is recommended to take your website backup first so that if anything went wrong, you’ll still have everything to make your website live without compromising any website data. Web development companies are getting ready for this new change. Gutenberg is coming! Are you ready? Gutenberg vs. Elementor: Choosing One Is Actually A Tough Call! Oh thanks for this article! I saw it pop up on my WordPress dashboard and wondered what it was all about. Didn’t do the beta cuz I didn’t want to deal with bugs. Looking forward to this coming out! Thanks for this Detailed guide about WordPress Gutenberg Editor. Looks like Gutenberg has great potentials, it will change WordPress environment positively. However, I personally tried it on my some blog using a plugin and loved it. Thank you for sharing this very interesting post with us i really enjoyed reading about it, it is very helpful with great information.